But you don’t need to splash the cash to have an amazing time in Barcelona. 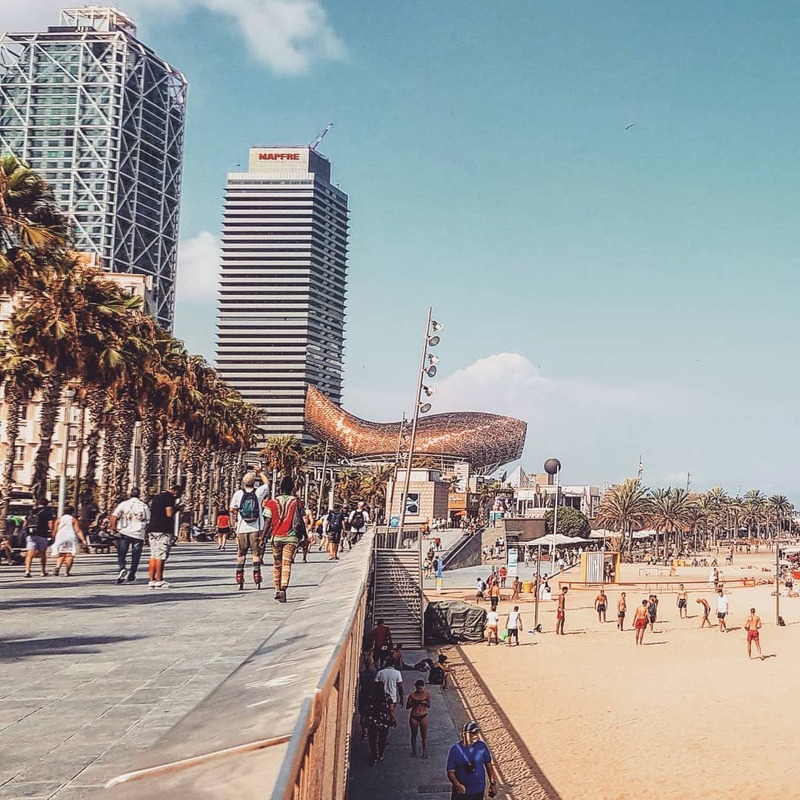 With all the outdoor activities, cheap local eats, free walking tours and affordable budget hostels, there are plenty of ways in which you will be able to save money on your Barcelona holiday, while still getting the most of this amazing city. Here are a few of these tips that will be sure to help you make the most of your trip to Barcelona on a Budget! Of course, the number one thing to do and the absolute best way to see and learn about this wonderful city on a budget is to go on one or more of Barcelona’s amazing Free Walking Tours. Free walking tours are the budget-friendly, fun, interactive and enjoyable way of exploring a new city. There are a variety of popular daily free walking tours in Barcelona to suit different tastes and interests. There are general walking tours which will give you a great general overview of an insight into the city and its history. It's a great idea to do this tour on the first day of your trip in order to get a good introduction and feel for the city. As well as this free walking tour, there are other options such as a Gaudi and Modernism Barcelona walking tour mentioned above, and also an El Born free walking tour too. All of these free tours are led by friendly and interesting tour guides with in-depth expert local knowledge about the city. You can also do a free bike tour of Barcelona. Cycling through the cities streets, parks, and seaside accompanied by a great tour guide is a fun and unique way of spending a couple of hours seeing the city and enjoying the sunshine. These daily free tours are also another great way of picking up even more money saving tips, by getting advice and recommendations on where to go, what to see and do, and where to eat from your local Barcelona city tour guides. A day on the beach doesn’t cost a penny and what better way to spend at least one day of your holiday in Barcelona than sunbathing, relaxing, and taking a dip in the Mediterranean at a beautiful beach. 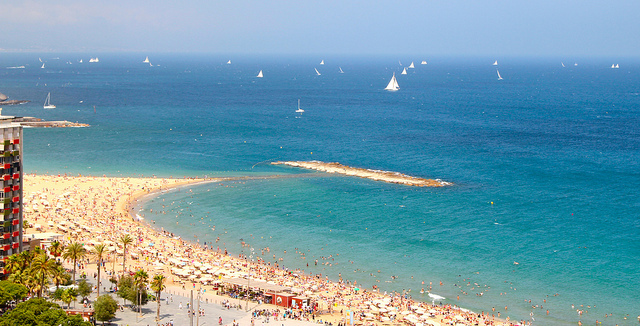 The biggest and most popular beach in Barcelona is La Barceloneta. This iconic beach is situated only a few minutes from the Old Town in the city, this beautiful stretch of beach has a stretch of boardwalk running along it with a wide choice of restaurants and bars if you fancy a cocktail, beer or some tapas to enjoy by the beach. There are also a few smaller and less crowded beaches a little further afield, such as Nova Icaria and Bogatell which a perfect for a quieter chilled-out beach day. Barcelona is world famous for its amazing history of art ,and although there are plenty of museums and art galleries to enjoy in the city, many charge admission fees which can add up and put a strain on your wallet; you don’t necessarily need to go to art museums and pay these admission fees to see art in Barcelona though. 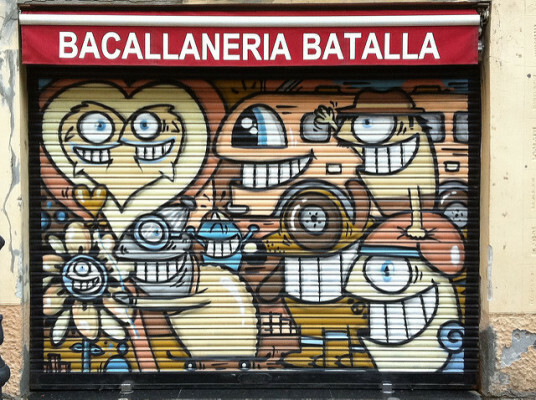 You can still take in some amazing local art in a more budget-friendly way by checking out the vibrant Barcelona street art scene. Spending an afternoon exploring areas such as the Gothic Quarter, El Borne, and El Poblenou, where colourful murals and graffiti adorn the walls of buildings, you will get to enjoy lots of amazing authentic local urban street art in Barcelona, and add some colour to your Instagram too. This is another tip on avoiding paying admission prices while still getting to take in art in Barcelona. The breathtaking architectural feats of Antoni Gaudi are all over the city of Barcelona and are must-see sights for every visitor. However, the admission prices for some of these cathedrals and parks can also be quite high if you’re on a budget and can add up if you wanted to see them all. You don’t actually need to see the inside to get a feel for the iconic architectural masterpieces of Barcelona as the exteriors are just as impressive as the interiors. 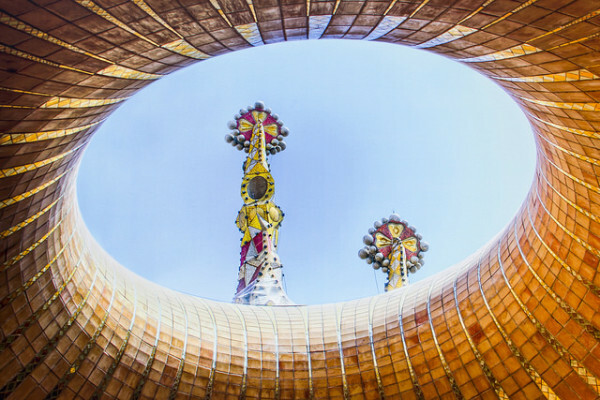 Of course, you can really get to grips with much of Gaudi’s work and the Catalan Modernism movement on our unbeatable Gaudi and Modernisme free tour. A trip to Barcelona just wouldn’t be complete without visiting Gaudi’s iconic architectural masterpiece; the unfinished cathedral, Sagrada Família. However entry tickets for this start at around €15.00, which may be a little bit too steep for some budget travellers. This, however, does not need to mean you miss out on seeing this incredible building. It costs nothing to have a look at the cathedral from the outside, and the outside is arguably more impressive and stunning than its interior. There are also some cafes and a park nearby, allowing you to spend a while enjoying a snack or a drink with the Sagrada Família as a stunning backdrop. That being said, you still may want to visit some of the museums too, and luckily this is possible if you are on a budget. Most of the popular museums in Barcelona have one day per month (usually the first Sunday of the month) where they offer free admission, so if museums are on your list of things to do in Barcelona and you’re on a budget, you can still get to see some museums with some clever trip planning. Check out each museum’s free admission days online and save some money! Compared to a lot of other European cities, Barcelona’s accommodation options are actually quite reasonable and budget-friendly. You don’t need to splash out on luxury accommodation to have a comfortable stay in Barcelona. There are plenty of accommodation options to suit any budget. Cheap hostels are the best way to stay in a city while saving money and a great way to enjoy meeting and getting to know other like-minded travellers. If you look in the right places and on the best websites you can find cheap hotels and top quality hostels in Barcelona. A handy tip is to check out hostelculture.com as it is normally 5% cheaper than other sites for the same bed! With its mouthwatering local cuisine, Barcelona is a foodie’s paradise. There are lots of options for cheap eats in Barcelona so you won’t need to spend a lot to experience some of the best culinary delights that the city has to offer. Many restaurants in Barcelona offer a “menu del dia” in the afternoon, usually between the hours of around 1-4pm. This is a set three course (plus a drink) lunchtime menu that usually only costs around twelve euro. Tapas are another way of sampling the local food without splashing out too much. Tapas are small snack sized dishes that are a staple in any Spanish restaurants. You could hop between cheap cafes serving tapas, trying one or two tapas from each - another way to enjoy the cheap eats of Barcelona on a budget. 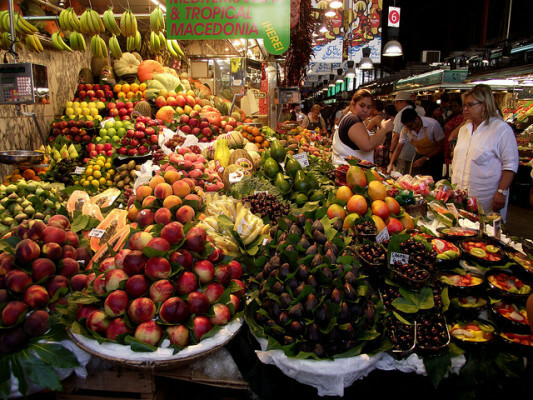 Barcelona is also famed for its local markets. The most famous of which being La Boqueria. Located right in the heart of the city, just off Las Ramblas, this food market offers a mouthwatering array of local food at reasonable prices.